It’s back where it first started! 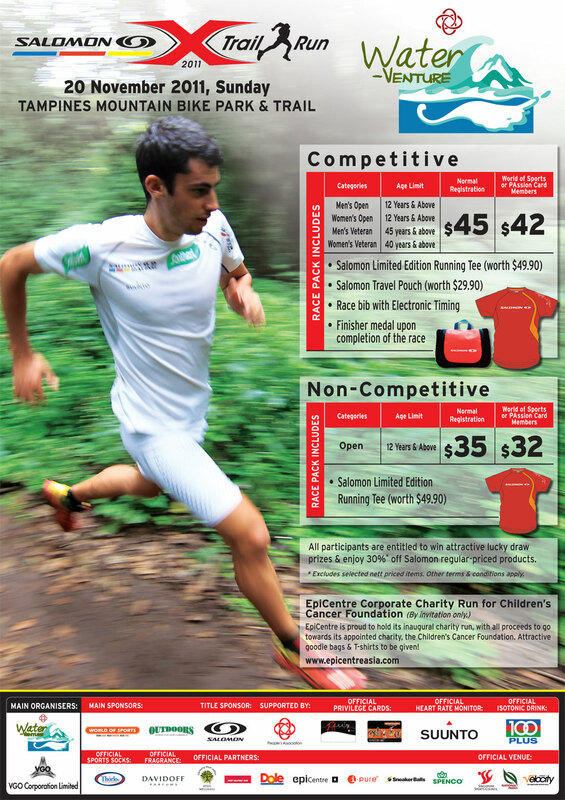 The Salomon X-Trail Run 2011 will be held at the post-Youth Olympic Games Tampines Bike Park & Trail on 20 November. 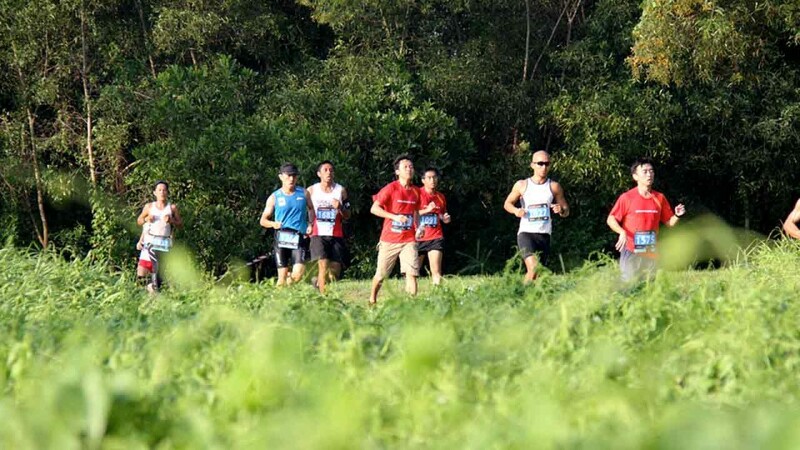 From our understanding, the organisers of this race, PA Water-Venture and VGO Corporation, received several petitions from runners to take the run back to the Tampines venue following some unpleasant instances of 'clutter' at MacRitchie Reservoir last year. We’re delighted about the news too! This time round, runners can expect a more refined landscape, with the grounds having undergone an extensive makeover for the inaugural 2010 Youth Olympic Games. That’s not to say that the trails at Tampines have lost its raw appeal. Runners will still be exposed to challenging hills, winding paths and the trademark stream crossing. Yes, you’re going to get soaked! Sand, gravel, grass, soil and mud water. The Salomon X-Trail Run proves yet again why it’s the most highly anticipated trail race of the year. There are two segments. One’s the evergreen 10-kilometre distance for competitive runners that's been around since the first instalment in 2008. Another is a 5-kilometre 'Fun Run' category targeted at amateur and first-time runners. If you’re one who enjoys the fresh air and natural surroundings, sign up now! Race flag-off time is 7am. We’ll see you there.